Someone clearly misread my post. I did not mean list the building. 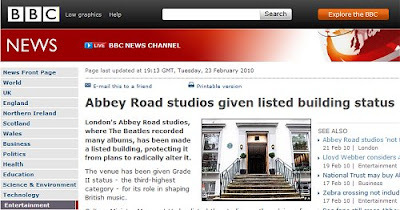 I meant list the great EMI recordings made there. So much for corporate memory. I tend to wonder if the current “heads” of what’s left of the music departments of the old Big Labels really care about music at all.